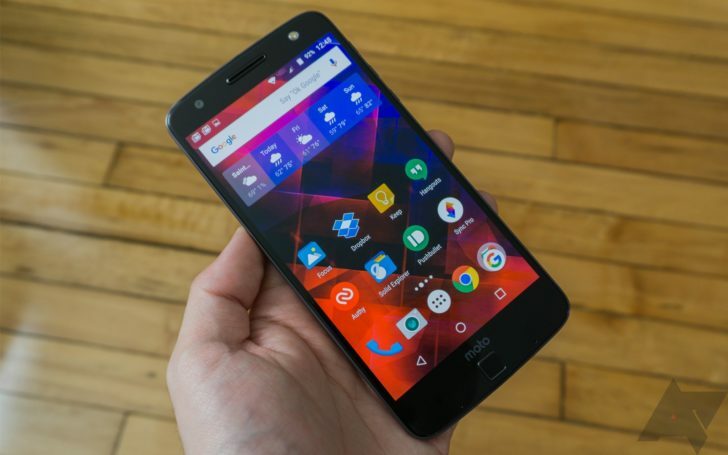 Motorola granted Verizon the exclusive on the Moto Z family of devices over the summer, but now you can finally pick up a Moto Z that's fully unlocked and compatible with GSM networks. Not that I necessarily think you should—the unlocked Moto Z is priced at $700, and that's without any Moto Mods. You can do it, though. This phone is virtually identical to the Verizon version, except that the price is higher and it supports different radio features. This is a GSM-only device, presumably a concession made to Verizon. Even the cheap Moto G4 supports both CDMA and GSM. Additionally, there's no unlocked version of the Moto Z Force. That phone will remain exclusive to Verizon. On the plus side, the unlocked Moto Z has 64GB of storage. If you want to pick up the Moto Z unlocked, it's already live on Amazon, Motorola, and B&H. Best Buy is still showing as unavailable, but that will probably change soon. Retailers will also push some Mods on you at the time of purchase. 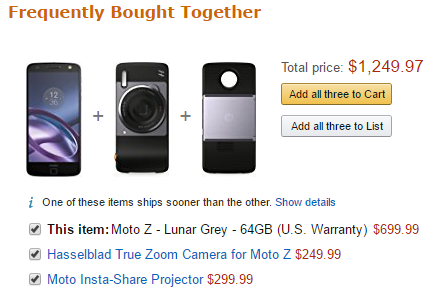 So, if you want a mediocre projector or camera that attaches to your phone, have at it. The only Mod that kind of makes sense is the battery, but it makes the phone pretty hefty. Just use your best judgement.